It is really easy to learn how our body works at every level, physical, energetical, emotional, mental and spiritual. 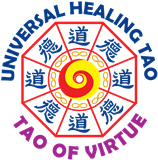 Universal Healing Tao is a complete system of knowledge and wellness. One day from 10 to 18. One day workshop is the best way to learn the basic of this healing and wellness system. The day is based on body work, with Inner Smile to improve energetical level and on the emotional level with Six Healing Sounds, each step in harmony and perfect time. For scheduled week end events, look “Event Page”. It is also possible to book a day course during the week. In this case contact Angela: angela@universal-healing-tao.it or +39 334 85 85 878. The Basic Course (Inner Smile and Six Healing Sounds) is splitted in four dates of two hours each. Weekly lessons for who has just attended the basic course. This is a way to support and enrich the own home study with the force of a group. Study day to focus Inner Smile and Six Healing Sounds. They are reserved only for people who have attended the Basic. See schedule page for dates. It is also possible to book a Deepening Study Day during the week; for this contact Angela: angela@universal-healing-tao.it or +39 334 85 85 878.
who has few time and wants to optimaze it to increase own wellness. In this case, the basic course is tailored on the person. For further info or booking: info@universal-healing-tao.it or contact your favourite instructor.